A dental cleaning is a fairly routine procedure that should not be painful. However, the patients who have not had their teeth cleaned in a long time may experience a longer cleaning, with some extra pulling and scraping to remove plaque from teeth. 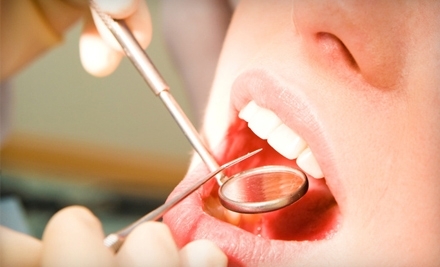 Patients don’t need pain medication for a dental cleaning. But there is the exception to the rule and some patients are so nervous about coming to the dentists that they request nitrous oxide. In some extreme cases of anxiety, some dentists use a method known as sleep dentistry, where a patient is medicated to the point that they sleep through the entire procedure. Most dental cleanings take between 30 minutes and an hour. If the cleaning is part of a yearly check-up, the hygienist may take X-rays to check for cavities and any other changes in the bone structure. The dentist will normally perform the last look, and perhaps perform some difficult plaque removal toward the end of the cleaning, evaluate the gums for gum disease, as well as examine for oral cancers. During the procedure the hygienists will use several tools, including a scaler and tooth polisher. Tooth polishers buff teeth and eliminate tiny pieces of plaque. Scalers look like metal hooks and are used to remove hard plaque formed around and between teeth. Some people find the use of a scaler uncomfortable, depending on their sensitivity level, pain threshold, the length of time since the last cleaning, and the extent of plaque build-up. Tooth polishers buff teeth and eliminate tiny pieces of plaque. Hygienist may also employ a device that shoots water into the mouth, so the person can rinse out plaque several times during the cleaning. In addition, hygienists utilize a type of sand blaster to remove stains that have formed on the tooth surface. Last, the hygienist will periodically record ‘pockets’ adjacent to the tooth to determine at what point along the root the gum tissue is attached. Dental cleanings often conclude with advice about how to care for teeth at home, and scheduling any appointments needed for more extensive services, like filling cavities. People with busy dentists should schedule their next cleanings well in advance, so as to keep regular six-month cleaning appointments. Patients should also expect the dentist to inquire about their home brushing and flossing activities. If a patient (thinks he/she) is regularly caring for their teeth at home, and plaque build-up is still significant, the patient may need to have more frequent cleanings. If we can be of assistance or answer your additional questions please feel free to contact us. Anyone with a heart condition or who has undergone heart surgery should let the dentist know prior to the day of the teeth cleaning. People with heart problems or heart defects are at high risk for developing a condition called bacterial endocarditis, which can seriously affect the heart. The only treatment needed prior to a dental cleaning, unless otherwise instructed, is a dose of antibiotics an hour before the cleaning. If a dentist does not know the proper dosage, then the person should contact his or her physician. Usually dentists will know the dosage, but if in doubt, it’s also possible to find information from the American Heart Association, which lists all guidelines for bacterial endocarditis prevention.